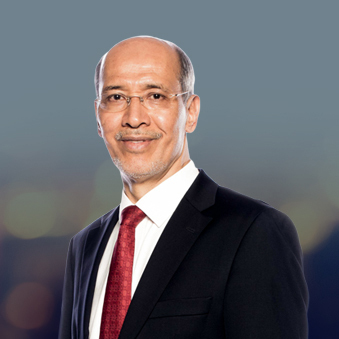 Tan Sri Dato’ Seri Mohd Bakke Salleh, 62, a Malaysian, is the President & Group Chief Executive (PGCE) of Sime Darby Berhad. He was appointed to the Board as an Executive Director on 16 November 2010. Tan Sri Mohd Bakke holds a Bachelor of Science (Economics) degree from the London School of Economics, United Kingdom. He is a Fellow of the Institute of Chartered Accountants in England and Wales and a member of the Malaysian Institute of Accountants. Tan Sri Mohd Bakke was the Acting PGCE of Sime Darby Berhad and later assumed the position of PGCE on 27 November 2010. He sits on the Boards of Eastern & Oriental Berhad, Sime Darby Property Berhad, Yayasan Sime Darby and Malaysian Industry-Government Group for High Technology. Tan Sri Mohd Bakke is also a Council Member for the Northern Corridor Implementation Authority and Global Science & Innovation Advisory Council. Tan Sri Mohd Bakke was the Group President & Chief Executive Officer of Felda Global Ventures Holdings Berhad and had also served as the Group Managing Director of Felda Holdings Berhad, Group Managing Director and Chief Executive Officer of Lembaga Tabung Haji and a Director, Property Division of Pengurusan Danaharta Nasional Berhad. Tan Sri Mohd Bakke has also worked with several subsidiaries within the Permodalan Nasional Berhad Group. He was the Managing Director of Federal Power Sdn Bhd, Managing Director of Syarikat Perumahan Pegawai Kerajaan Sdn Bhd and Group General Manager of Island & Peninsular Group.